The Crowne Plaza Springfield Convention Center is celebrating fall at this month's Business After Hours with special food and music. The band "Collective" will play acoustic music from 4:45 - 6:45 p.m., and special menu items (see below) will be served. The festivities will be held in the Long 9 Restaurant on the 2nd floor. 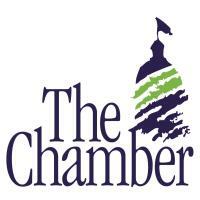 Chamber members pay only $5 to attend.